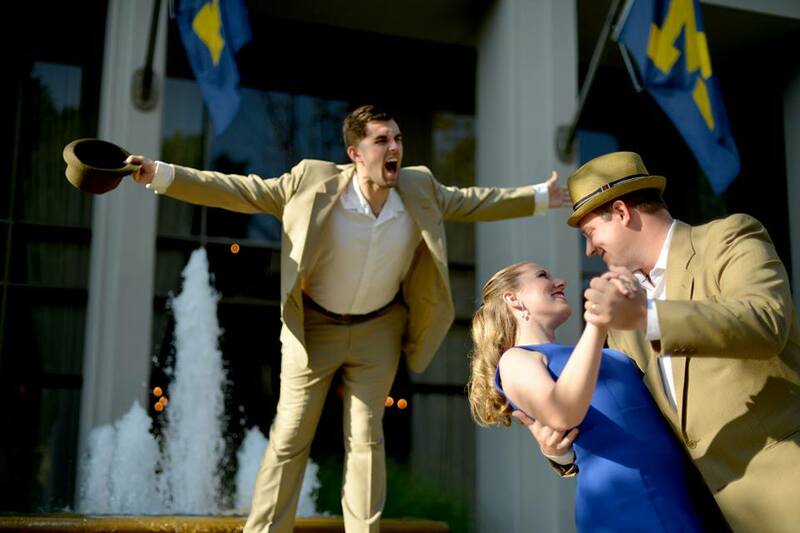 Runyonland Productions, Ann Arbor’s new theater company, is bringing Sondheim’s iconic Merrily We Roll Along to the Lydia Mendelssohn Theater as a staged concert production. The musical revolves around Franklin Shepard, starting with the peak of his songwriting career and moving backwards in time to show the big moments of his life and the choices he and his friends made that led to the present. Showtimes are February 28 and March 1 at 7:30 PM and tickets can be bought online at https://runyonland.ticketleap.com/merrily/. The music by Cy Coleman burst out of the pit of the Lydia Mendelssohn Theater with grand flair and style. Dance hall hostess Charity made her way onto the stage, dancing her little dance with a sweet fashion that becomes characteristic of her personality throughout the 1960s musical appropriately named Sweet Charity. Nevada Koenig portrayed that sweetness and purity in Charity beautifully with an unbridled and unlimited amount of excitement and belief in the greatness in people. With “big” dreams for her life, Charity’s aspirations can be viewed as naively sweet, which makes the heartbreak she experiences over and over that much more painful to watch. Charity comes across film star Vittorio Vidal for a night to remember, and Blake Bojewski gave the audience a song to remember as his majestic voice floated through the air in his showstopping number, “Too Many Tomorrows.” As Charity laments about greatness and love, the fickle finger of fate finally falls in her favor during the hilarious elevator scene with Oscar, played by Lake Wilburn who captured the panic with excellent comedic acting and accurately showed Oscar’s personality as a timid guy stuck in his own head. Sweet Charity is basically a romantic comedy musical with a small dance show in the middle of the first act. The dance number for “Rich Man’s Frug” was spectacular in every sense. It actually felt like a real dance show and I never wanted it to end. Again, the ensemble brought the energy to the stage as the Rhythm of Life Church, which indeed is a powerful beat. While Charity may not have purity in the purest sense, she still possessed a purity that is rare in the world today: she believed in the best of people and in the best of the future, and that is a sweet purity that is hard to come by. 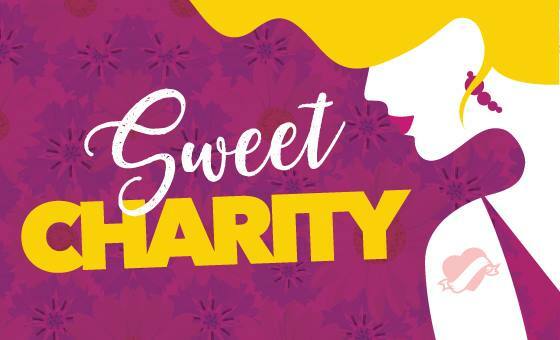 Overall, Sweet Charity was a wonderful production by the Department of Musical Theatre in every aspect, from the costumes to the pit orchestra to the set designs to the acting to the choreography to the singing. Though I am not a huge romcom fan, I enjoyed this musical and its message of pure bliss and hope greatly, particularly because of the phenomenal orchestra and cast that made Sweet Charity that much sweeter. Where can you find ComCo, Angels On Call, Groove, the Compulsive Lyres, the Michigan Magician Society, Arabian Dance Ensemble and the Violin Monster all sharing the same stage? Autumn Fest, of course! What: The second annual variety show put on by Appreciate + Reciprocate, a University of Michigan student organization which raises money for the LSA Emergency Scholarship Fund. Buy your tickets at the Mason Hall Posting Wall, October 16-17th and 20-22nd 9am-4pm, and join the Facebook event for a reminder. 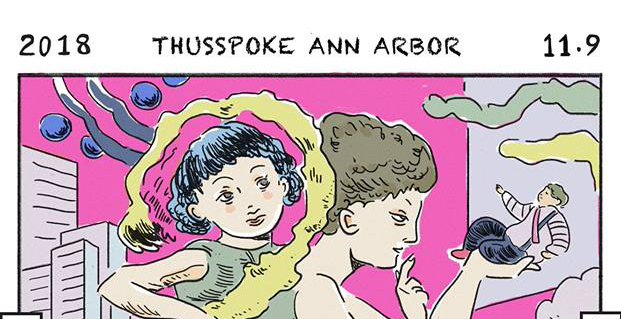 All of the profits from the show will go to support Appreciate + Reciprocate’s newly established scholarship, which benefits Michigan students who suffer from financial crises, so no student has to drop out due to costs! For the price of one ticket, you can sample many great local talents, as well as treat yourself to a dose of good karma. For more information about Appreciate+Reciprocate, check out http://www.umichappreciate.org. I’d like to take a moment to freak out about the brilliant lighting scheme of “The Magic Flute”. This opera is, I think, about finding a compromise between dark and light, between pure disorder and pure order, but doing so through the eyes of a child. This might not make any sense to you, but I thought that the lighting portrayed that beautifully. There was a particular circle that was useful in telling me the time of day and how I should feel about it by the color that was lighting it up. “The Magic Flute” begins in the bedroom of a young girl. Her parents are fighting, it’s thunderstorming in the night, and her wardrobe doors are forced open by a young prince running away from a dragon. The Queen of the Night sends this Prince Tamino on a quest to save her daughter from her kidnapper, Sarastro (who didn’t actually kidnap her because Pamina is the daughter of the Queen of the Night and Sarastro). Pamina and Tamino fall in love while Tamino’s friend, Papageno, can’t learn to keep quiet, but in the end they manage to stop to the war between Sarastro (who appears to be a kind of lord of light) and the Queen of the Night. That was very quick and will probably have Emanuel Schikaneder rolling in his grave, but I wanted to get that out of the way to talk about the cast. Jacob Wright and Jonathan Harris, who played Tamino and Sarastro, respectively, have outstanding voices that I remembered from “The Barber of Seville” last semester. Katy Clark’s soprano was thrilling as Queen of the Night, and Natasha Drake performed a beautiful Pamina. All of the leads were phenomenal, and I am amazed to think that there is another set of entirely different Michigan students who are equally as talented. Although at times this show was a little slow and heavy, it was also fanciful and sentimental, and I especially enjoyed the ending. After all of their hardships, so many circumstances vying to tear them apart, Pamina and Tamino find a way to be together in the light of day, away from the chaotic Queen of the Night. As an audience we find ourselves again in the long-forgotten little girl’s bedroom where her parents are bringing her a tray for breakfast. Day has dawned over night just as it always will, but I do wish we could have seen the dragon again.